You won't see Jon Snow again until 2019. 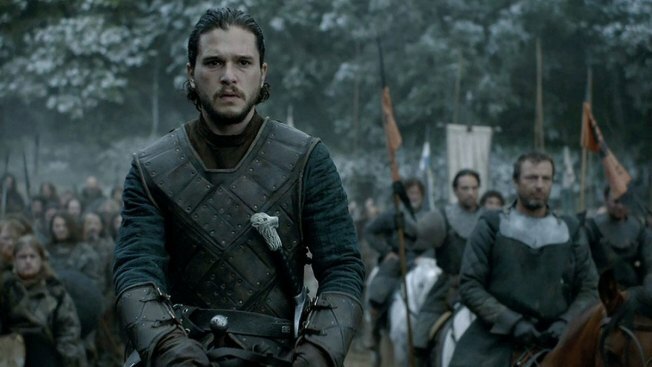 "Game of Thrones" fans settle in for a long long... long Winter. HBO announced Thursday the hit series would not see the light of day until a still undisclosed date in 2019 for its six-episode, eighth and final season. The announcement was met with an expected amount of despair across social media. Game of Thrones not coming back til 2019. My cliffhanger nightmare. I swear if this impending nuclear war gets us all killed before Game of Thrones season 8 gets here in 2019, I'm gonna be pissed.